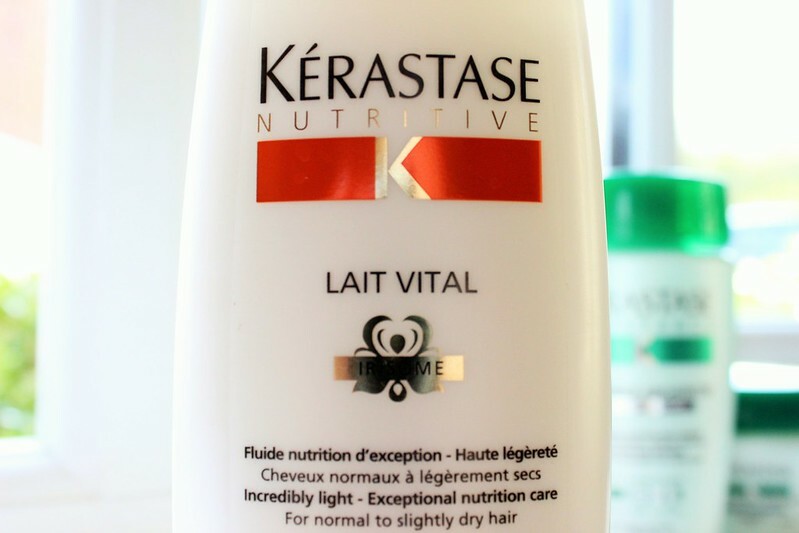 Kerastase: Are My Dry Hair Days Over? The other day I had a spontaneous moment; I decided I wanted to get a perm. Now before you start thinking I'm a crazy person, perms have come along a loooong way since the 80's and they can actually customise the curl to your needs. Which is a good thing seeing as before you had a choice between cork screw curls or..... Cork screw curls! When I got to the salon they told me they wanted to perform a strand test, so I handed over a strand of my hair and returned after 20 minutes to hear the verdict; was my hair in a good enough condition to be able to take the perming treatment? The short answer was no, it wasn't and I was faced with the harsh reality that I had ruined my hair over the last few years with all the bleach I'd put on it. I felt pretty ashamed and also disappointed; it was going to be a while before I was able to hang up the curling irons. So what did they suggest I did to get my hair back into good condition? I really wasn't up for hot oil treatments and I wanted something that was actually going to work. After a bit of deliberating they recommended a range of products by Kerastase, a brand of salon quality hair products from L'Oreal. Now I'm quite a sceptical person when it comes to recommendations from salons, so I carried out a bit of research of my own. 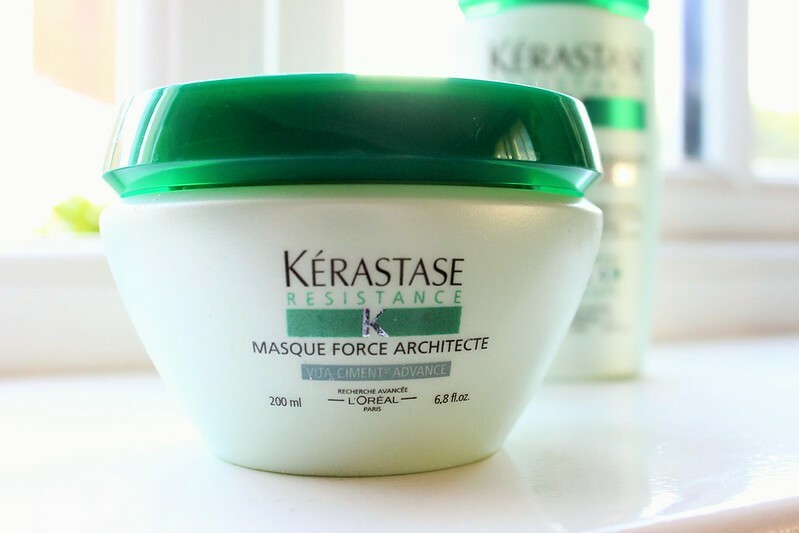 I asked a few of my friends who know their stuff and they all said that Kerastase products were good quality and would certainly improve the quality of my hair, so I decided to invest. I bought 2 products from their "Resistance" range which has been adapted for extremely dry and damaged hair, and 1 product from their "Nutrative" range for normal to dry hair. In total I had 1 shampoo, 1 conditioner and 1 deep cleanse hair mask, all for £50. A hell of a lot more than I would normally spend on shampoo and conditioner! 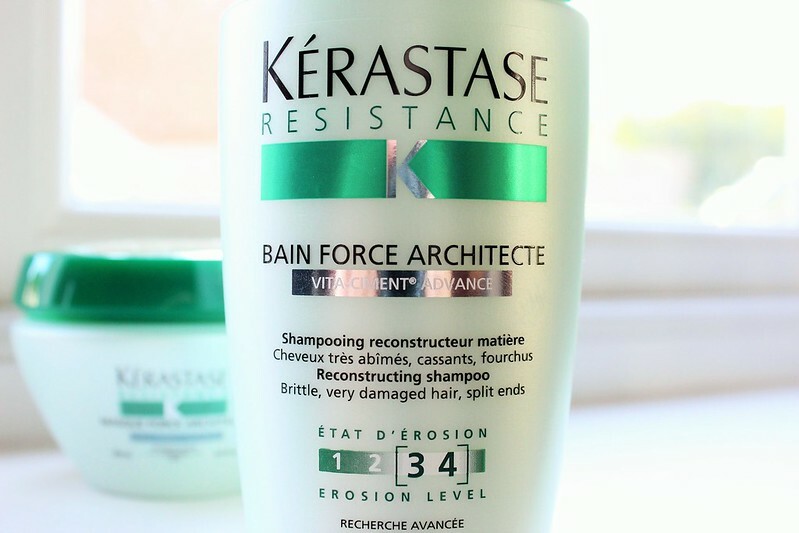 In terms of how and when to use the products, I wash my hair twice a week with the Bain Force Architecte shampoo followed by the Nutritive conditioner. I make sure I comb the conditioner through and leave it in for at least 5-10 minutes (maybe even longer if I'm having a bath). I then use the hair masque once a week, usually on a Sunday. It says to leave it in for 3 minutes but I tend to leave it on for as long as possible. Maybe up to 4 hours? I then rinse out and dry as normal. So was the result worth the £50 price tag? All in all I'd say yes. I've been using all three products for about 4 weeks now and my hair has definitely improved; it's less dry, less notty and certainly shinier. The only 2 downsides I've noticed are the fact it leaves my hair a little greasier than I'd like, and also the bottles are annoyingly small; I'd expect more product if I'm spending more, not less! 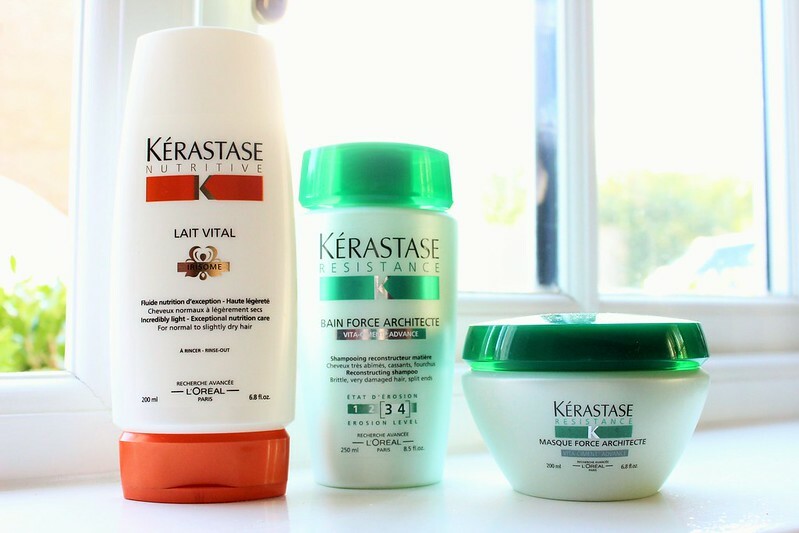 Have you tried any products from the Kerastase range? 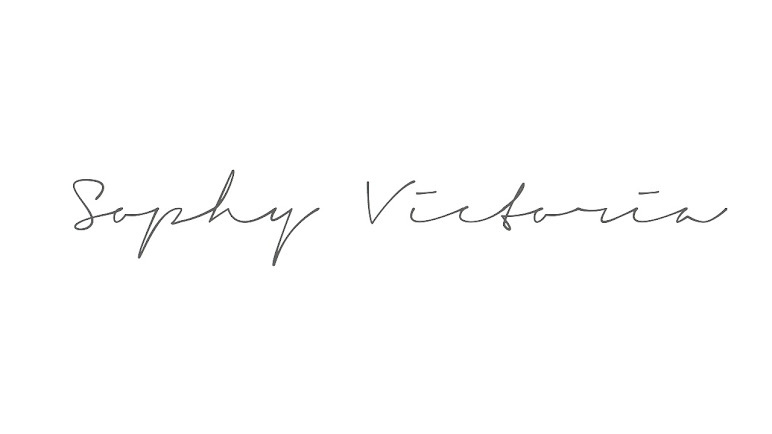 If you have let me know what you think!